If you want to explore Cairo, the best place to start would be with its history. Where can you find out about that? At the Egyptian Museum you can see where it all started. Built in 1835, this museum has articles from thousands of years ago. The Egyptian Museum was originally situated not to far from the Nile River the museum had to be relocated due to flooding. Now, it is safely located in Tahrir Square and there you will be submerged in true Egyptian culture. The history alone is mind boggling. 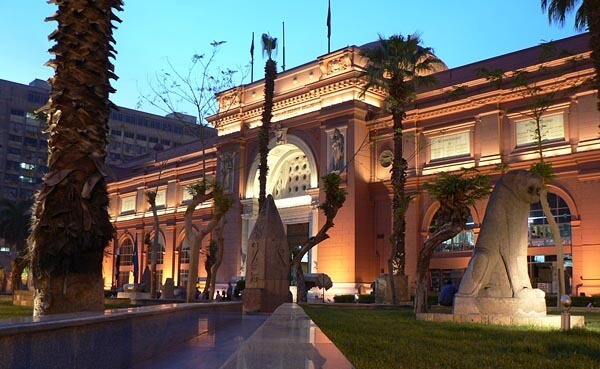 The museum contains over 120,000 items that represent old and new Egypt. You will see not only Egyptian but also Latin, Islamic and Roman influences throughout the museum. Some of the ancient artifacts are written in Latin showing visitors that the Nile River really did bring an extensive amount of cultures to their city. The museum's official name is The Museum of Egyptian Antiquities. This is the place to see kings and queens of the Ancient Egyptian era. The ground floor of the museum houses papyrus, coins, jewelry and tombs! Ready to see King Tut's original gold head piece that covered his mummified body? The Egyptian Museum has that and many more items that were in his tomb. Make sure you have time to explore this amazing museum at least two times or more. There is so much to absorb when visiting. Some articles are so old they are not even sure what era it is from. This is a highly recommended museum to visit for people of all ages. What better way to see how people lived thousands of years ago than where it all started, Cairo, Egypt. Open daily 0900-1645, Fri 1200-1400. Last updated by Munica Herron on 01 February, 2012 in Destinations.